Omantel, the national operator of Oman and the leading wholesale carrier in the Middle East, today announced the signing of the supply agreement with Xtera Communications, Inc. (NASDAQ: XCOM), a leading provider of high-capacity, cost-effective optical transport solutions, for building yet another unique submarine cable to strengthen its position in the region and beyond. The new cable will be built in partnership with Ethio Telecom, Golis Telecom and Telesom Company and will be a direct highway from Salalah in Oman to Bosaso in Puntland and Berbera in Somaliland, with a terrestrial extension to Addis Ababa in Ethiopia. “This is the first step on our expansion journey into Africa where we will go from Oman directly to Somalia and then extend the cable further into Africa to Ethiopia,” said Sohail Qadir, Vice President Omantel Wholesale. “These two highly under-served countries will soon be connected to our international low-latency network, gain access to all the content hosted in Oman with Omantel and consume services from Europe and Southeast Asia,” continued Mr. Qadir. G2A will be a new low-latency cable system with the purpose of bringing content closer to end-users in Africa and providing Somalia and Ethiopia with much needed Internet capacity and access to global cloud services and applications. 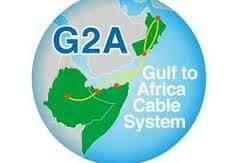 The subsea part will run from Salalah, Oman, to both Bosaso in Somalia and Berbera in Somaliland. From Salalah, a terrestrial route through Oman will interconnect with all of Omantel’s nine submarine cable systems, soon to be twelve, with some of them being the largest in the world connecting the Middle East with the Far East, Europe and North America. Omantel also hosts a wide range of content and cloud providers in Oman serving the Middle East region from their central hubs in Oman, all which will be available to the G2A system. “This is a fascinating project, first of its kind, where we will benefit from Omantel’s international network stretching around the globe to bring tremendous change in the region as access to high quality and affordable Internet services affects all aspects of peoples’ lives and their way of thinking,” said Mr. Abdikarim Mohamed Eid, CEO of Telesom Company. “At the same time we will gain access to the main Internet hubs in the world; the countries on Omantel’s international network will become available through G2A to serve enterprise customers in Eastern Africa,” added Mr. Andualem Admassie, CEO of Ethio Telecom. Xtera will supply its turnkey 100G/100G+ submarine cable system solution for this project, including subsea optical repeaters, Nu-Wave Optima™ Submarine Line Terminal Equipment (SLTE), cable and all marine services. Xtera’s subsea repeaters, engineered around a number of electrical, optical and mechanical innovations, use Raman optical amplification to produce very low noise levels for maximal repeater spacing and offer wide spectrum for higher system capacity. Designed for 20 Tbit/s of capacity with the latest 100G technology, the G2A system will optimize the connectivity costs in Africa and add much needed capacity to an under-served and fast growing region. “Today we are mainly relying on satellite communication for our Internet needs; G2A will dramatically change the end-user experience and enable new types of low-latency services both for the residential and corporate sectors,” said Mr. Abdulaziz Gureye Karshe, Chairman of the Board of Golis. Omantel is the pioneer of total communications solutions in the Sultanate of Oman with the widest choice of state of the art services with the broadest network coverage. As the only truly national network in Oman, Omantel offer innovative end-to-end communication solutions serving home, mobile and business customers. 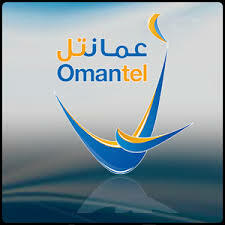 In the international wholesale arena, Omantel is considered one of the most prominent and competitive wholesale telecommunication providers in the Middle East region. In addition, it is one of the leading companies in the field of submarine cable networks and a key participant in several submarine cables, complemented by direct terrestrial links, which link Asia, Europe and America passing through Oman to meet the international capacity requirements of customers locally and internationally, thereby sustaining the Company’s leading position among its competitors. Ethio Telecom that replaced Ethiopian Telecommunications Corporation (ETC) in March 2010 is one of the oldest telecom operators in Africa if not in the world. Established in 1892 by the Ethiopian Government with the objective of connecting Ethiopia to the rest of the world, Ethio Telecom has undergone a massive transformation and modernization since 2005. The sole national operator, Ethio Telecom now plays a key role in the on-going development of the Federal Democratic Republic of Ethiopia. Ethio Telecom is an integrated telecommunications solutions and service provider offering internet, data, VAS, International and voice services. Ethio Telecom has experienced significant growth in terms of customer base and revenues. By increasing its customer base from 7.7 million in 2006 to 40+ million in 2015, Ethio Telecom is the 2nd top operator in Africa and has gained 8 places in terms of customer base since it entered into the African Top 10 in 2011. Ethio Telecom currently provides telecom services in the entire country on both voice, internet & data, channels, with comprehensive plans in place to meet the requirements set out by the Federal democratic Republic of Ethiopia and peoples of Ethiopia. 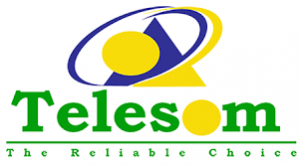 Telesom is the leading provider of telecom services in Somaliland. The company was established in February 2002 and has its headquarters in the capital Hargeisa. Telesom was the first company that introduced GSM 2G/3G services in Somaliland. Since its establishment Telesom has seen a tremendous growth in both the number of subscriptions and the services that it provides which includes voice, data and a variety of other value added services. The biggest and the most notable service that Telesom has launched is its mobile Money Platform (ZAAD). The company is one of the largest employers in the country and one of the biggest contributors to the overall GDP growth of the country; the company takes a huge pride in the provisioning of its services and the professionalism of its skilled work force. Golis Telecom was founded in the year 2002 with the objective of providing the best quality telecommunications and information products and services. The company’s service oriented schemes are committed and dedicated to all the citizens of the country. The variety of services include voice and data services (fixed line, GSM, mobile internet- EDGE/3G), and Sahal service (MMT), among others. The other major service provided by Golis Telecom is the electric power supply operated by the company in many cities in Puntland. Golis Telecom is the largest telecom operator in Puntland State of Somalia. This is signified by the extensive network coverage area where its services are being provided in all major cities and districts of Puntland State. The longest terrestrial fiber optic (700+ km) in Somalia is being laid to replace the microwave. The first milestone (100 km) of the terrestrial cable is close to completion. Golis Telecom sustains the largest market share in Puntland State of Somalia. Xtera Communications, Inc. (NASDAQ: XCOM) is a leading provider of high-capacity, cost-effective optical transport solutions, supporting the high growth in global demand for bandwidth. Xtera sells solutions to telecommunications service providers, content service providers, enterprises and government entities worldwide. Xtera’s proprietary Wise Raman™ optical amplification technology leads to capacity and reach performance advantages over competitive products. Xtera’s solutions enable cost-effective capacity to meet customers’ bandwidth requirements of today and to support their increasing bandwidth demand fueled by the development of data centers and related cloud-based services.